Portable buildings in Canyon Lake, Texas are a great way to store things or use as cabins, playhouses, barns, sheds, or utility buildings. 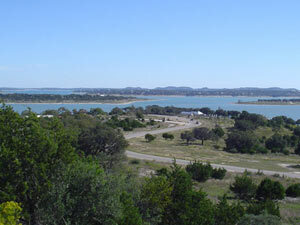 Canyon Lake, Texas is centrally located between Austin and San Antonio and just minutes from New Braunfels, Gruene, Bulverde, and Spring Branch. On the rim of the beautiful Texas Hill Country, Canyon Lake has a shoreline of 80 miles and miles of cool, gentle waters on the Guadalupe River. For building delivery in the Canyon Lake area, please check our delivery requirements before calling to order. Any Texas City will be in our area, however; it is best to call for color options and custom build outs. Contact us or come to the Uvalde, Texas location and order it today. Derksen Portable Buildings has every building in stock and ready to deliver. If you are near Canyon Lake and are looking for a shed, storage building, garage, barn, playhouse, utility building or cabin, we have it! Free delivery within 50 miles of Canyon Lake, Texas!